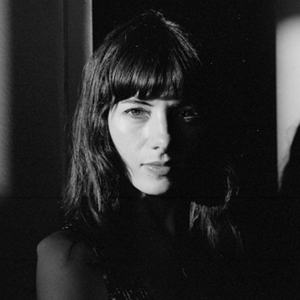 Minimal Wave – new Deux, Sympathy Nervous releases – Chain D.L.K. 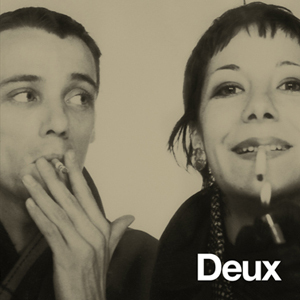 Minimal Wave is proud to present a 12” EP by the lovely French synthwave duo known as Deux. Gérard Pelletier and Cati Tete formed Deux shortly after meeting in Lyon in 1981. Their music can be described as minimal synth with stripped down rhythm compositions and suitably cold duets. A perfect blend of archetypal Kraftwerkian pop and French synth, these set of songs comprise their later years (1985) and stylistically sound like classic house combined with the romance of New Wave. This EP features previously unreleased newly remastered studio and demo tracks. Pressed on 180 gram gold vinyl, limited to 999 hand-numbered copies. Note: due to a pressing plant issue, the color of the vinyl isn’t precisely gold – it’s more of an olive golden brown. Purchase here, $20. Sound samples linked below. 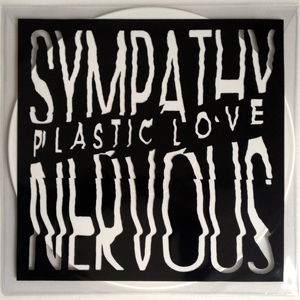 Sympathy Nervous is the project of Japanese artist Yosihumi Niinuma. Influenced by both classical and Krautrock, he began recording in 1979, and released several records on the highly coveted Vanity label. He continued to record and self-release much of his work throughout the 80s and 90s. His sound is intelligent and probably the most unique minimal synth to come out of Japan. Exploring dystopian themes, his music is well balanced and beautifully recorded. The Plastic Love album features songs Yosihumi Niinuma recorded between 1979-1980. These were originally recorded as studio demos and have never been released until now. The album is a follow up to Automaticism, which we released last year as benefit record to help Niinuma cope with the loss of his home and studio after the Great East Japan Earthquake of March 2011. Stylistically, these particular songs range from proto-techno tracks like “Anatawa Suguni” (1980) to post-punk ones like “Untitled 1” (1979) to a pure synthpop masterpiece from 1980 called “Butoubyou No Syounen” featuring his wife on vocals. The record is printed in the same style as Automaticsm (on a heavy clear sleeve) and pressed on 180 gram white vinyl. Cover art by Gustavo Eandi in collaboration with Veronica Vasicka. Purchase here, $22. Sound samples linked below. For our 38th release, we’re proud to present an album by a good friend and very talented Canadian musician named Tona Ohama. 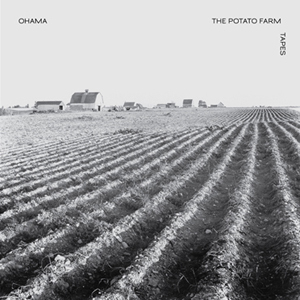 Ohama was first featured on The Found Tapes compilation (2007) with “T.V.” and then on The Minimal Wave Tapes: Volume 1 (2010) with “My Time (Demo)” and most recently on The Minimal Wave Tapes: Volume 2 (2012) with “The Drum”, which was also recently selected and edited by J. Rocc. The Potato Farm Tapes is an album of his early output, featuring some songs from his first cassette entitled Midnite News (1982) and other rare tracks that only have only appeared on compilations thus far. We’re happy to be able to cull together the very best of these early tracks and release them cohesively as an album. The record is pressed on 180 gram clear blood red vinyl accompanied by an in depth Ohama interview by Brandon Hocura printed on the inner sleeve. Limited to 999 hand-numbered copies, purchase here, $22. Sound samples linked below. Back by popular demand! 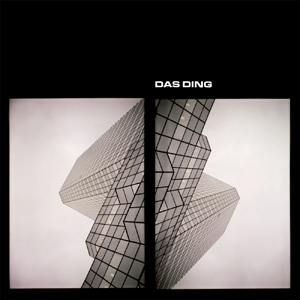 Minimal Wave presents the second pressing of full length album by Dutch electro pioneer, Das Ding. Das Ding is Danny Bosten, who was active in the early 1980s releasing his music and friends’ music via his own cassette label called Tear Apart Tapes. While studying graphic design in art school, he designed all the tape covers himself. Meanwhile, he recorded his own music as Das Ding. Powerful dark electro, some tracks are quite addictive and danceable while others are more for at home listening enjoyment. The dancefloor killer is somewhere between Reassurance Ritual and H.S.T.A. The record is pressed on 180 gram vinyl and comes in a printed innersleeve featuring artwork by Danny Bosten, and heavyweight outer jacket with photographs by Dima Belush. Definitely one of this year’s favorites. Purchase here, $22. Sound samples linked below.